The landscape of data analytics is fast changing. The insurance industry is facing unprecedented challenges and opportunities in this digital age. Disruptive technologies have brought new opportunities for innovative businesses and will drive to extinction companies who fail to adapt. While the industry needs to integrate classical theory with new technologies, the academia provides a fertile ground for interdisciplinary innovations. The symposium aims to provide a venue for bringing together industrial professionals, academics and students interested to discuss latest technological development and discoveries in risk analysis and predictive analytics. 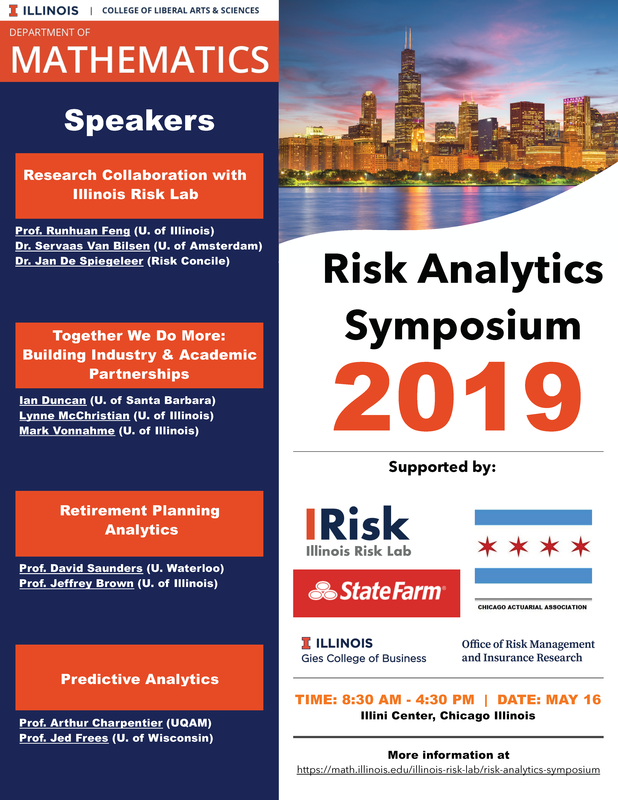 Learn latest development in risk analytics research at the intersection of academic research and industry practice. Gain valuable insight through networking with thought leaders in industry and academia. Join the local community for innovative education and research collaboration. Thanks to the generous support from our sponsors, only a nominal registration fee is required. All costs for all sessions, meals, breaks and a cocktail reception will be covered. Thanks for your support of academic-industry partnership.